HomeCultureWhat is a Romería on Tenerife? You might have heard the phrase bandied about now and again – ‘there’s a romería this weekend’. It took us a while to discover what romerías actually were after we moved to Tenerife. Our first time was the Romería de San Roque in Garachico during August. We didn’t know we’d have to park kilometres outside of the town because there were so many people. We didn’t know if you stood on a corner there was the risk of being pinned to a wall by a supertanker of an ox trying to make the tight turn. We didn’t know to take a plastic cup so that we could drink our fill of the free wine being generously poured from the convoy of carts that passed. We didn’t know a lot of things because the articles we read in the local rags didn’t mention any of these things. 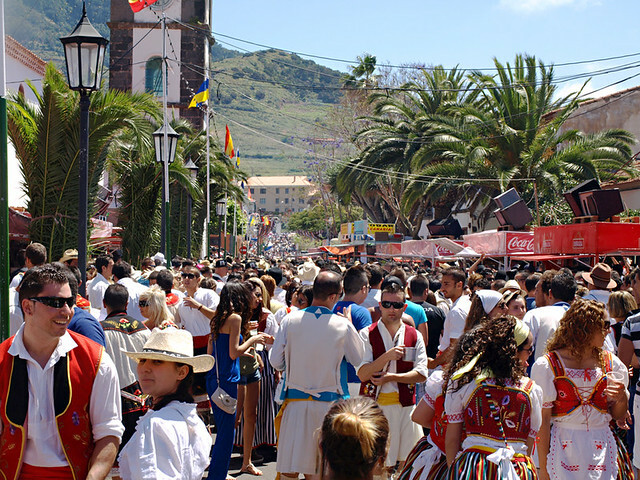 There is a world of difference between experiencing a romería and simply re-hashing the official blurb which usually says things like ‘this is one of the oldest and most important fiestas in the Canary Islands’… for all of them. So, for romería virgins, here are 10 things it might be useful to know. 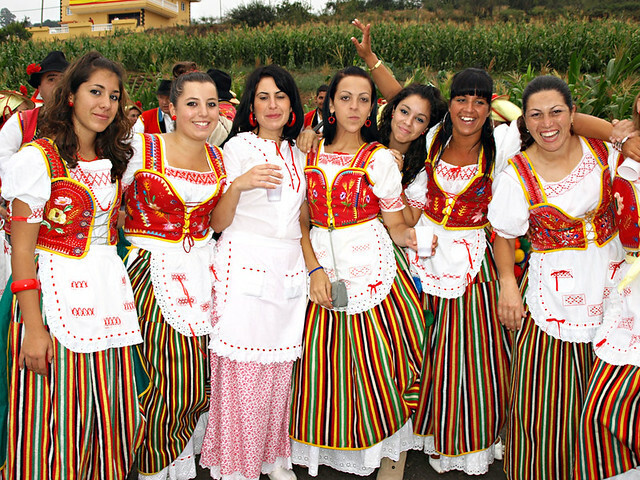 Romerías are a type of harvest festival which has its roots in a mix of Pagan and Christian beliefs. They are usually in honour of a saint who’s been ‘helpful’ with the harvest, although celebrations themselves are more unbridled fun than religious reflection. 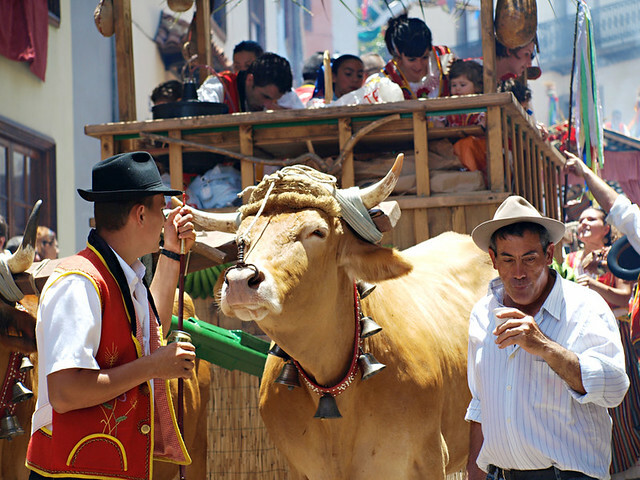 They involve a procession involving carts filled with food and wine, locals wearing traditional costumes with more colours than a rainbow, musicians, dancers and lots of animals. Where do romerías take place? 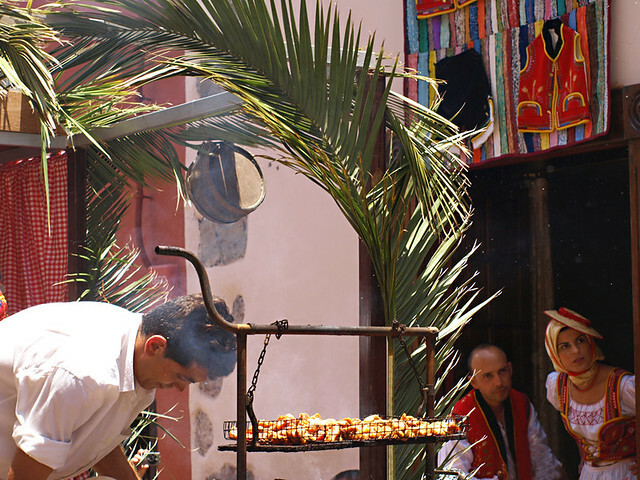 Just about every traditional town on Tenerife has a romería at least once during the year. 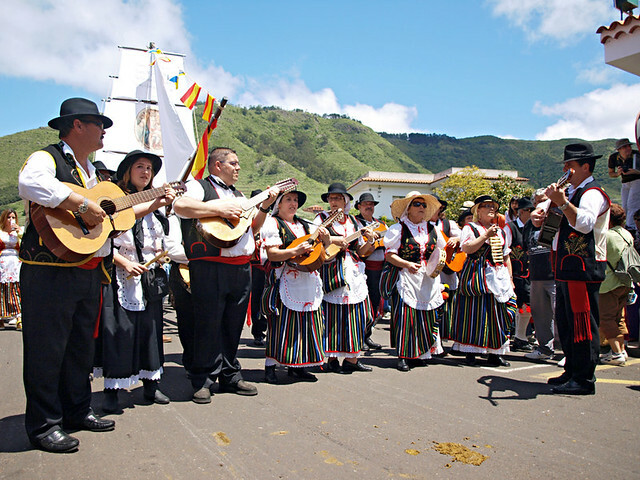 Generally the romerías in the north are significantly bigger than those in the south with Garachico, Los Realejos, La Laguna, Tegueste and La Orotava throwing the biggest parties. Whilst this means they are a greater spectacle with more decorated carts, locals in traditional dress and lashings of food and wine, it also means there are lot more people at them. When is the best time for romerías? 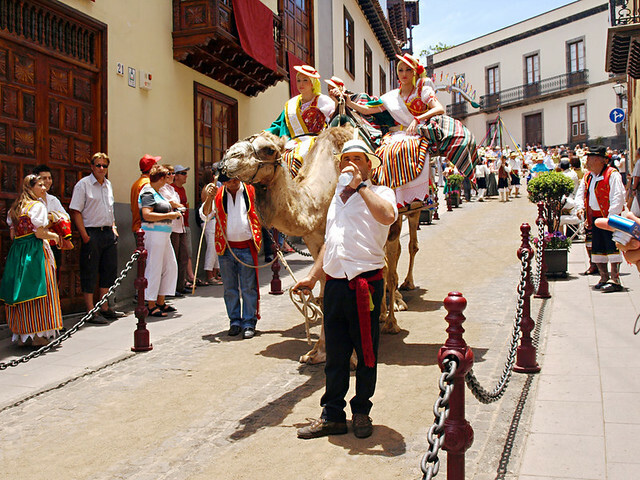 There is no romería season as such, they take place throughout the year. 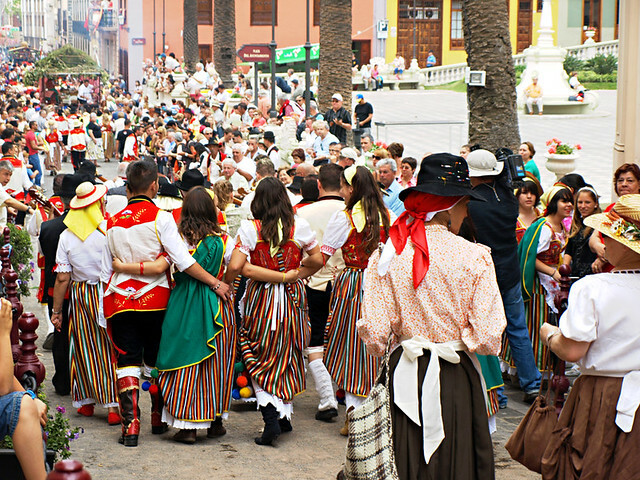 The best tend to take place during spring/summer, starting from the Tegueste’s Romería de San Marcos at the end of April. From then, the northern coast reverberates with the sound of fireworks (day and night – some are going off as I write this and it’s 10.30am) most days throughout summer. 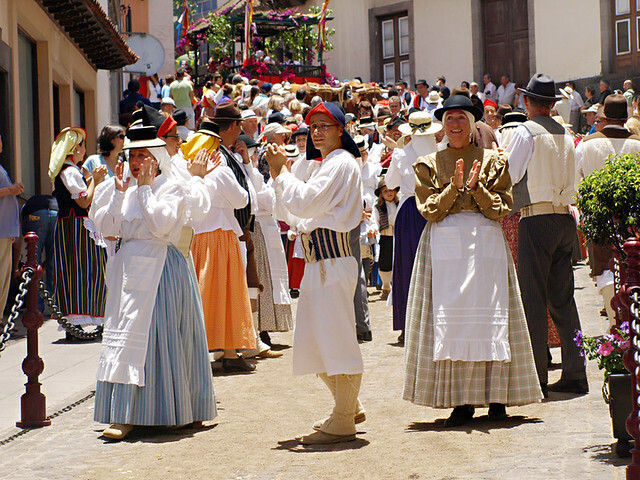 Some romerías take place on the same date every year, like Garachico’s famous one on 16 August. Others change yearly because they fall on ‘the last Sunday of the month’ or ‘the Tuesday closest to the 18th’ etc. Tourist offices and cultural centres are good places to find out if there’s a romería near you and when it takes place. 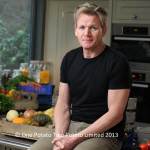 We also post information about the biggest ones on our monthly events update. Is there really free food and wine? If there’s no free food and wine being dished out from carts then it’s not a bona fide romería. The food dished out includes bags of popcorn, papas arrugadas, gofio amasada, boiled eggs, sandwiches with chorizo paste and fillets of pork and beef (these are the most sought after). Sometimes people in the carts thrust food into your hands, most of the time you’ve got to get in amongst the local population, and veteran romería goers, to get the good stuff. Wine flows freely and you’ll end it drinking loads. A vaso de romería (a wine glass on a string that hangs around your neck) is pretty handy. What’s the best way to travel to a romería, bus or car? Bus is best as it means you can drink everything that comes your way. Titsa, the island’s public bus service, puts on extra buses for the biggest romerías. When the romería is in a place that’s a bit out of the way public transport isn’t so useful. 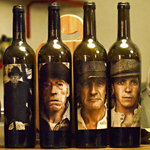 We drive to the romerías in the hills, drawing straws to choose who loses out on the gallons of wine. If driving, always park as soon as you see cars parked anarchically even if it means a 2/3 kilometre walk. There seems to be an unofficial parking amnesty during romerías so cars are parked in places where they’d normally be towed away before you could shout ‘Viva San (insert name of saint here)’. Romerías often start early afternoon and last until they… well, end. The processions tend to take place over a period of 2/3 hours after which the party really gets going. They can certainly be vivacious affairs. A lot of drink is consumed but Canarios are a good natured lot and the atmosphere is one of infectious fun. I know people who won’t go because they consider them drunken, rowdy affairs. 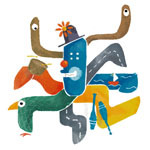 For us they are all about communities having a bit of a lively blow off where everyone is welcome. In the more rural communities you can be more aware of people being drunk as skunks. 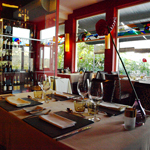 But I’ve never been to a romería where the atmosphere was anything but lively fun and seeing caballeros slumped on their horses a la Lee Marvin’s Cat Ballou is worth the trip. Are romerías suitable for families? It’s a difficult call. Like most fiestas, they are family affairs as far as locals are concerned; children from toddler sized sit in carts handing out eggs and potatoes with the other family members. For onlookers there is a lot of standing around. Bustling crowds at the bigger romerías can mean smaller children don’t get to see as much as they’d like. What’s the best way to enjoy a romería? Don’t stand back from the action and just be a spectator. Get right into the throng and ‘attack’ every cart to see what you goodies you can get, it’s what the locals do. Don’t refuse anything offered and be prepared to have wine from a goatskin flask poured down your throat. In other words, immerse yourself in the experience. Why should I go to a romería? 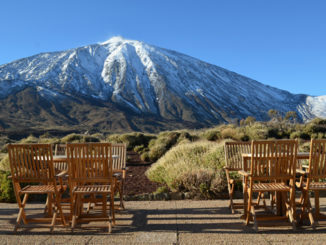 They are an important part of the real Tenerife. 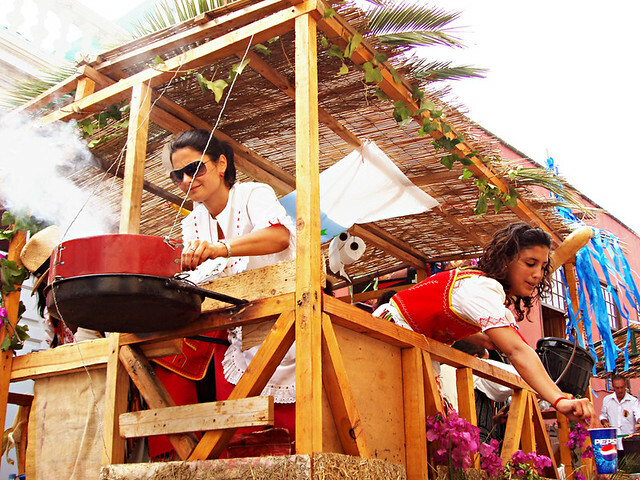 If you want to experience something that the majority of visitors never see, delve into a culture that is rich, colourful and different whilst gaining an insight into a community spirit that is as strong as the teams of oxen pulling the decorated carts, romerias are an excellent way to do so. And they are loads of fun.